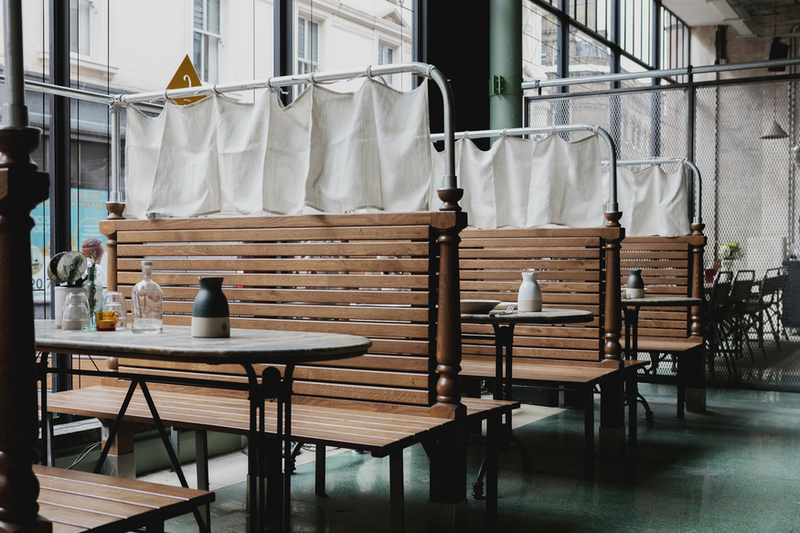 There are some lovely touches at the new restaurant-bar from the people behind Hackney's Martello Hall. The building itself, for a start. They've opened in the erstwhile Bon Marché shopfront in Brixton, and kept a lot of the high-ceilinged, cavernous beauty intact. 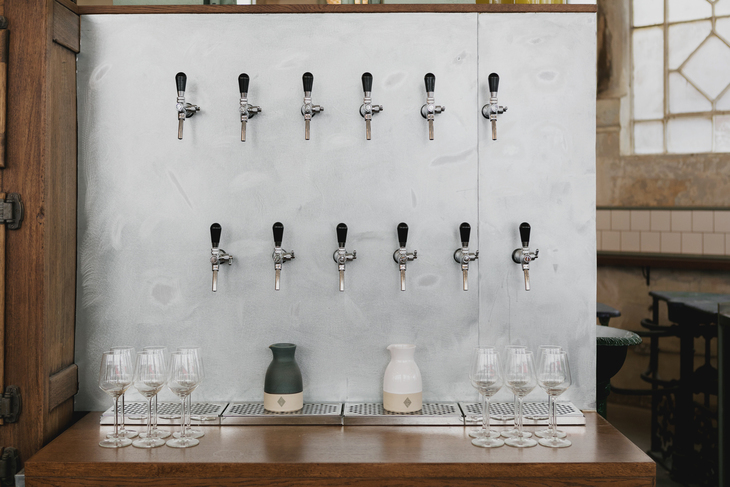 The wine on tap means a good selection by the glass and carafe. The volume levels and the booth seating along one side of the restaurant make for a great date-night set-up — separate enough to feel intimate, with enough background bustle to feel like you're at the quiet heart of a great party. And we run into two separate sets of friends when we visit, from farflung parts of London but seated at the booths either side of us. It's an enticing behemoth of a bar, and people are rolling in from the far end of the Victoria and District lines for it. Not everything's quite as on-point as the atmosphere. One set of friends have been waiting 35 minutes for their first drinks to turn up. The other set are waiting on a pasta dish, which turns out to have been forgotten rather than delayed. We hear a couple of similar complaints from neighbouring drinkers. 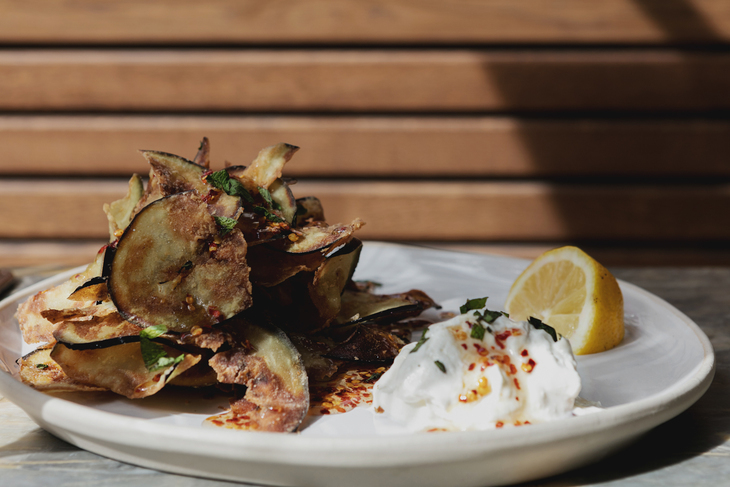 Our food turns up speedily, but it's a mixed bag: 'nduja ketchup's a stroke of rich, viscous genius, but the thick chips it comes with are cold in the middle. The Marmite butter would be perfect for dipping warm, springy focaccia into — but the focaccia it comes with is cold and tough. A wood-fired pizza's decent but heavily spring-onioned, a double-rum Hurricane cocktail's sweet and citrusily splendid. And the Woodford Reserve Old Fashioned's so good it's a wonder anybody makes it through to that broad wine-by-tap selection. So: hits and misses. Service is haphazard but friendly. Drinks are slow to arrive but excellent when they do. The menu talks an alluring game that dishes don't quite live up to on the table. But Canova Hall's basically an oversize house party. If you go expecting medium-chaotic good-times rather than slick efficiency, you'll be happy. Canova Hall, 250 Ferndale Road, SW9 8BQ.